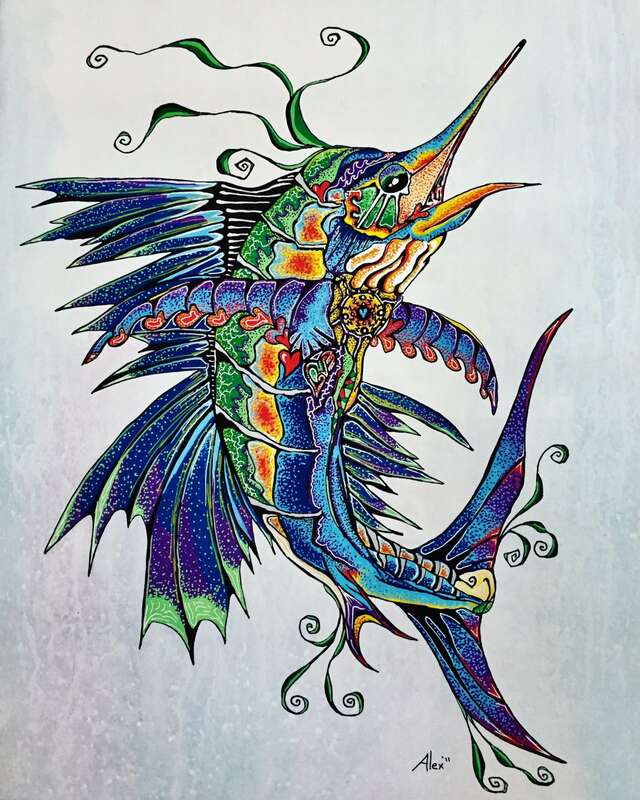 A purely intuitive artist, Alex was born on the island of Jamaica and also grew up in Barbados, The Bahamas and Florida. Through his deep respect for the Sea and his passion for surfing, the magic of his art emerged. This art does not seek to imitate the obvious, rather it challenges the viewer to look deeper below the surface and to feel the exotic colors of the islands. His creative style of communicating his message of “consciousness” within pulsating shapes is truly unique and unlike any other artist. “We are all one energy branched off into many different vibrations”.